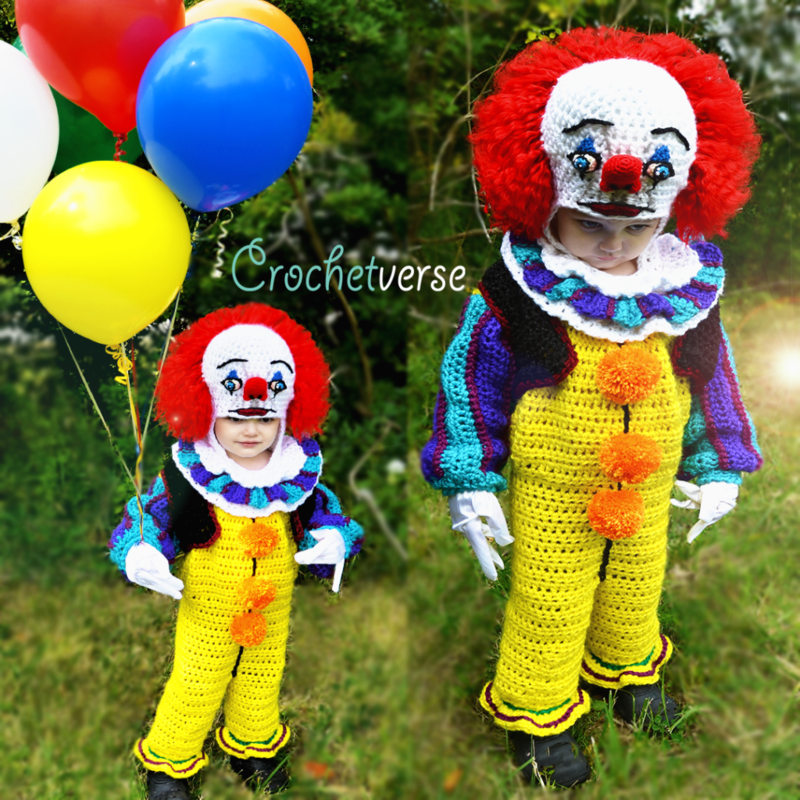 More to follow most definitely, but this creepy FULL CROCHET costume is fresh off my hooks and wanted to share! Old School Version, well because he is scary level 100! 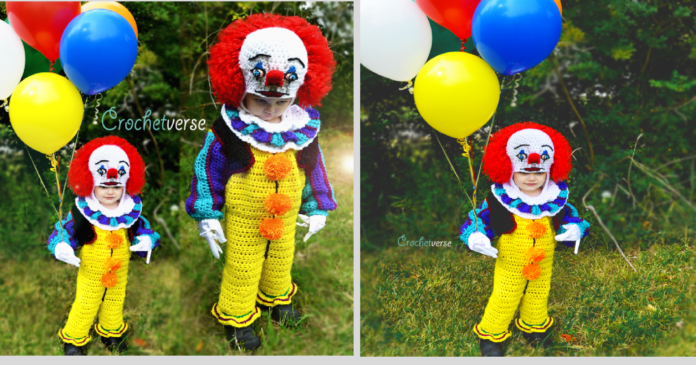 There is no pattern for Pennywise directly. He is made using the PLAIN blank canvas onesie pattern to which I altered and added to make him. We go really *EXTRA* for Halloween around our house. Is it heavy? Not more than a blanket. Hot? Sometimes it snows on Halloween in my parts! Can it be adult sized? Sure, the pattern is from 0/3M – Men’s XL! Create any size you wish! Much Love, Yarn, and Happy Halloween! Previous articleViral ET Costume! Let’s talk how-to! 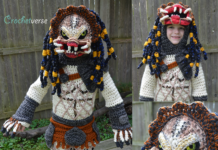 Next articleNew pattern! 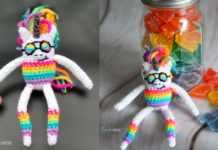 Rainbow Clown Collar/Wrislets Set! 4 sizes!